TAINE is a word of Slavonic origin, which has no accurate translation in English. In a wider sense it is used to depict a hidden truth or meaning that has not been meant for the human mind, in its current state, to understand. This concept has been widely spread in East European cultures since ancient times and ties in to the spiritual makeup of the people in this part of the world. It ties into the people’s need to understand life, its origins, space and time, throughout the centuries. So in the beginning of 1993, the band named TAINE emerged with Andy on guitar, Stefan Aldea on lead guitar the Adrian Tabacaru, who was only 13 years old at the time. The band’s earliest influence was Megadeth and gradually the band started going in a more technical-thrash direction. The only problem with the line-up at the time was the bass player position, the band going through 4 bass players in 2 years’ time: Bogdan Tufeanu (Pista), Andrei Nicolescu, Nica Narcis and Mihai Tiulescu. At the same time the band was writing songs like Repent, Secret Place, Confusion, The End and Destin, which alongside a few cover tunes were a part of the band’s first live appearance in 1993 at one of Romania’s first metal festivals. The aforementioned songs will also end up on TAINE’s first demo, Destin released in 1994, which received high critical acclaim in the local heavy metal magazines at the time, publications such as Vox Pop Rock. During 1993-1995, TAINE started heavily playing the club scene in Bucharest and in 1994 they were invited by TV host Petre Magdin to perform a few songs for the heavy metal and rock show Intalnirea de la miezul Noptii, which was airing on national TV at the time. The band has a recorded performance of the songs “The End, Secret Place and Confusion. Metal Fan ’93 Bucharest, Eco Pop ’94 Bucharest, Posada ’94 (Third Place) in Campulung, Young Rock For Youngs ’95 Piatra Neamt, Constelatii Rock ’95 in Rm.Valcea, are just a few examples of the places the band has performed in during those years. It was during that time when the band members became friends with those involved in the most important bands of the Romanian metal scene at the time: Neutron, Abigail, Invers, Plutonium, Cronos, God, Psycho Symphony, CASH and many others. During that time, the young drummer Adrian Tabacaru is making a name for himself in the music scene as one of the most appreciated drummers/ percussionists at the time, despite his young age. He then started his formal musical training at the Dinu Lipatti school of music and later entered Bucharest’s National Academy of Music. At the same time, Andy joined the death metal trio Plutonium as a side project where he played bass. The group was short lived and broke up after a few shows, but the fast technical death metal style that they were playing had left a huge mark on Andy‘s future compositions. After many line-up changes in the bass department, longtime friend and Cronos member Bogdan Visan joins TAINE and in 1995 the band responds to a lot of invitations from promoters to play their festivals. This is considered a very special time in the band’s history as far as live appearances are concerned. The band played numerous shows and received a lot of media attention from radio stations and metal publications at the time. This also came with a lot of prizes received at festivals: Grand Prize at the 1996 la Galele Metal Fan Fest in Bucharest, “Best Instrumental Performance at Posada Fest in 1996 in Campulung, and the list goes on with prizes at Samus Rock–Satu Mare, Rock Music Dej in 1997- “Grand Prize, “Top T– Buzau in 1997- First Place, the vortex of prizes ending with the Grand Prize in the 1997 edition of the Posada Fest. 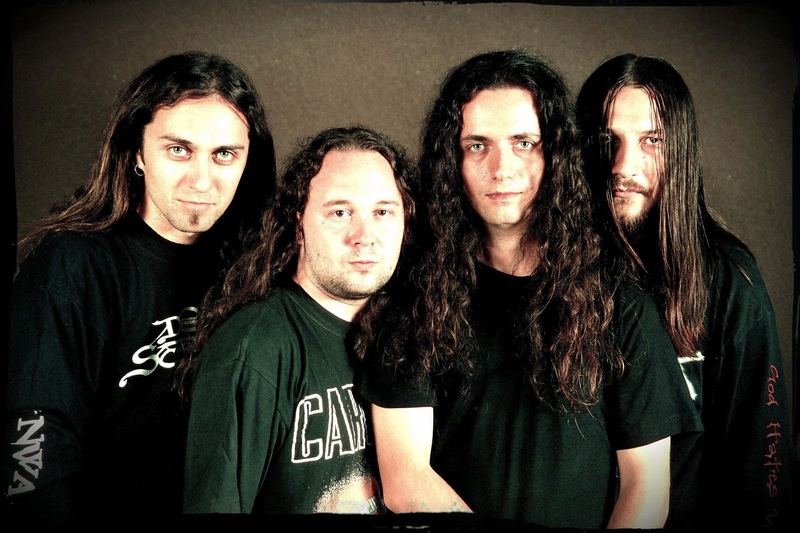 In 1996 TAINE was deemed Best Thrash-Death group by Vox Pop Rock Magazine and Adrian Tabacaru Received the title of Best Romanian Drummer from the same publication. The band continued touring festival dates with appearances at Sf.Gheorghe, Piatra Neamt, Constanta, Turnu Magurele at the Turris Metal Night 1998. Both demos were recorded in the band’s rehearsal space. In 1997 TAINE entered a professional recording studio for the first time, to record the song Woman in Bucharest’s B’Inisor Studio. This song will be featured on the compilation Underground Romania Rock Vol.2 produced by East&Art Production, the compilation showing tremendous commercial success at the time. 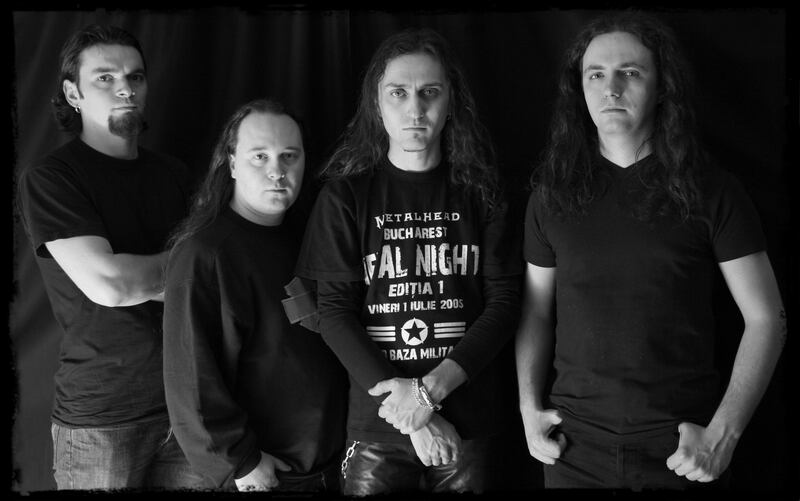 Despite the downfall of the Romanian metal scene at the time, TAINE teamed up with producer Ioan Brandusan from the label Promusic Production to record the band’s first official release at Glas Transilvan Studios. The record is called Cealalta Parte (The Other Side) and is released in April of 1999 under audio cassette format and later CD as well. The album is well received at the time and is still considered a corner stone of Romanian Metal. In early 2002, TAINE teamed up with DRC Image to begin filming some pro quality live shows like the ones at the Metal Heart I Festival in Costinesti and at the S.R.O.A. Fest In Bucharest at the Arenele Romane open air concert venue, making the videos available on the band’s website at the time. The highlight of 2002 was an appearance at the FIMU Festival in Belfort France. In august 2003, TAINE was invited to perform at the Tribute To Monsters Of Rock (today’s Keep It True Fest) in Dittigheim, Germany. 2003 also marks the release of the band’s first official video for TAINE. It was filmed by director Andi Ionita, and it was for the single No Personality. The video debuted on MTV Romania and received high critical acclaim both from TV stations and in the online world. Another highlight of 2003 was that TAINE got to open for Kreator on December 13 at the Sala Polivalenta concert hall. Fueled by the success of No Personality and with the help of a team of film students, TAINE shot a second video for the single Inger sau Demon. The quality in which it was presented brought on a lot of media attention to the single from all the TV stations that played metal at the time in Romania. The video was also included in a special edition compilation DVD & CD release from Heavy Metal Magazine. In April of 2004, TAINE, through their own record label TAINE RECORDS, put together an anniversary concert entitled A Decade Of Metal, with special guests Avskild and Psycho Symphony. The show was a multi-media first in Romania, it being filmed, recorded and played back in real time as a projection during the show. presents a documentary of the band’s history includes an interview done by radio and TV producer Lenti Chiriac as well as live concerts and behind the scenes footage. It is mixed in DOLBY and also includes an extensive photo gallery. The DVD was well received and had sold out in very short time after it’s release. Following a performance at the 2005 edition of the StuffStock festival, bassist Bogdan Visan parted ways with the band after more than a decade of activity within the group. He is replaced by the young bassist Robert Sep Pieptan, founder of one-man black metal act INSEPULTUS and bass player for the band Avskild. This came as a refresh for the band, which soon resumed its live activity and in 2006 the band played the Sziget Fest in Hungary as well as many opening gigs for bands like Vader, Napalm Death, Ancient, Sepultura, Obituary, Atheist, Master, Quo-Vadis and many more. In 2008 Taine Records releases another special product for the Romanian market, another premiere: a live in studio DVD &CD release, with a live performance recorded in the band’s personal studio (Taine Multimedia). The mixing process was done by Andy Ionescu and Adrian Tabacaru, and the mastering was provided by Chris Makenson from the United States. The DVD features 12 songs which are significant in the band’s history and a tribute to Chuck Shuldiner through a cover of The Philosopher by DEATH. The quality of the production stands out in the multi angle filming (multi-angle cam) and the DOLBY mixing. The material includes English subtitles. Another special feature of the DVD is the artwork, done by the great artist Cositn Chioreanu. The DVD is still available in the MERCH section. TAINE will continue touring in Romania and the Republic of Moldavia throughout 2009 and will begin work on a new release. In 2009, long time guitarist and founding member Stefan Aldea decided to leave TAINE. He was soon replaced by Ciprian Martin (Spectral) and the band resumed its live activity. In 2011, after nearly two years of research, the band started bringing audio-video synchronization to their live shows and made an appearance with this format in Bucharest’s Wings Club. The band’s original mixture of death metal, progressive and matchore, ambient, and noise is now accompanied by live synchronized projections and intelligent lights, thus transforming a plain metal concert into a much larger experience. 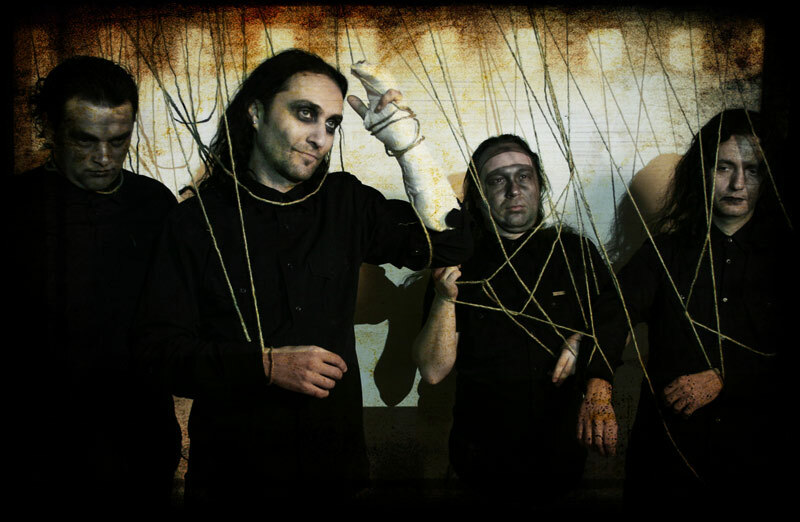 In 2013 guitarist Ciprian Martin left and was replaced by Petre Iftimie, known for his work in the progressive/jazz/death metal band ILLUMINATI. TAINE soon took the new line-up to the road, performing a series of show in 2013, most notably the Devilstone Festival in Lithuania. The year 2013 ended with the release of the Resurrection EP, on December 28th. The EP features 6 songs that showcase the band’s tendency to push things forward in terms of songwriting and orchestration. The EP received high critical acclaim from specialized publications around Europe and the US. 2014 started with the departure of bassist Robert “Sep” Pieptan who wanted to focus more on his personal life. His spot was filled by the talented jazz/metal influenced bassist Alexei Nichiforof and the band took off on the road once more. In 2015 TAINE started bringing new material to the table, as the band plans on making another full length album. Touring activity was also pretty intense, the band playing numerous national gigs as well as some Euro dates in Bulgaria, Turkey and Greece. TAINE also played a special reunion show in club Fabrica in Bucharest. The show featured appearances by former members Bogdan Visan and Robert “Sep” Pieptan. The most important show of 2015 was opening for DEATH DTA tour in Arenele Romane in Bucharest. In 2016, the band has released three singles off of the upcoming album. The songs Three Days In Darkness and The Dark Days Of Our Lives(In Memoriam Colectiv) were released as lyric videos on YouTube, while the third, The World Does Not Change, is accompanied by a music video filmed by former guitarist, and founding member Stefan Aldea, while post production was handled by longtime friend and Abigail mastermind, Razvan Alexandru. TAINE has kept pushing forward in terms of composition and the new songs released show a more progressive and diverse edge to the band’s music. The band has also revealed that they plan to release every song on the new record online as individual singles, accompanied by some form of graphic or video support, before putting out the record in physical format. This way insuring that people get to hear and digest each track on the record. Sadly The World Does Not Change, features a final appearance by the band’s co-founding member, drummer and orchestrator Adrian Tabacaru, who decided to focus on a solo career as a composer and drummer, writing and performing as a solo artist using his trademark sound and visual concepts. After a long search for a new drummer, TAINE finally found someone to fill the vacant position. Thus, Teo Popp, 17 at the time, joins the band. He is regarded as a young drumming sensation in Romania and was the perfect match to fill the difficult drumming position in TAINE. After Teo Popp was integrated in the band, TAINE resumed work on the LP and plan to release it in 2017. There are also some live performances scheduled, including a set at Rockstadt Extreme Fest in the summer of 2017. The journey continues….